Last week I checked out a really interesting 2001 Mercedes-Benz CLK55 AMG that was one of the better W208 AMG cars, but I still thought didn’t hold up to the brother W210 E55 AMG. 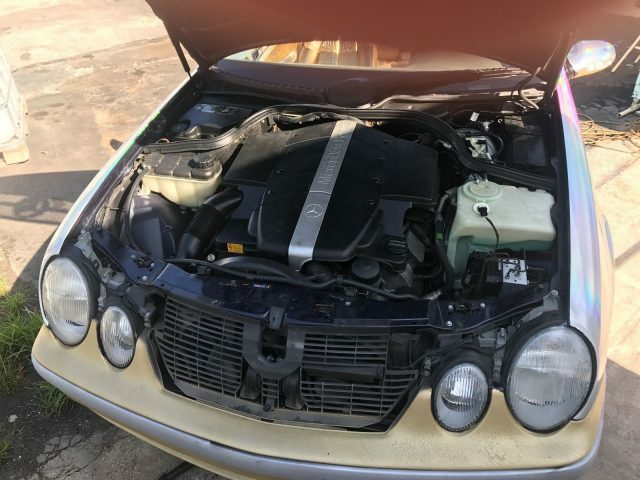 I just thought it lacked a few things and I’m not just cherry picking little things, Mercedes really did short the CLK55 with equipment and less power. Today, I thought I’d check out the next generation, the C209, to see if anything improved and if they were on par with the W211 E55. Sad news, they were not. 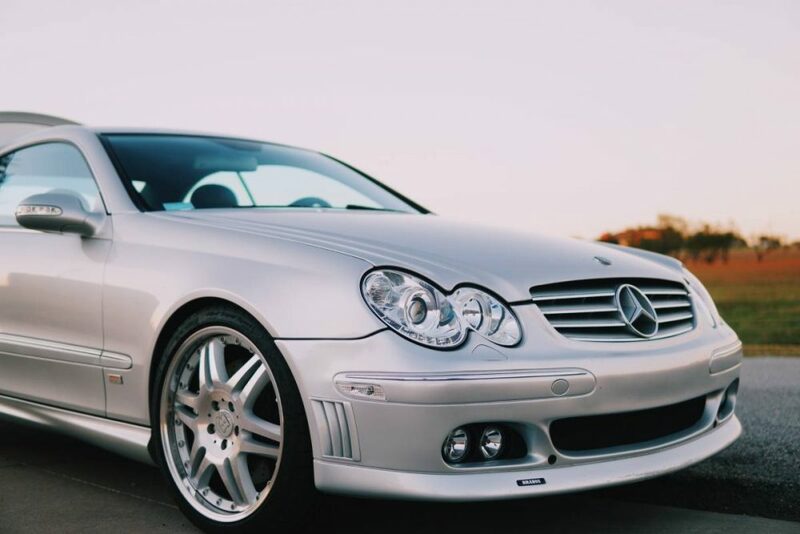 The seller of this sweet CLK55 AMG Brabus 6.1 has dropped the asking price to $39,950, and is offering a special $4,000 discount for GCFSB readers simply for giving us the nod! 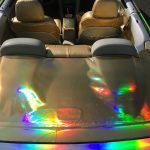 Thanks to the seller and check this car out! Ever check out a car and think ”How can they possibly make it better?” Well, this is what we have today in the 2003 Mercedes-Benz CLK55 AMG Brabus 6.1. What started life as a CLK55 AMG – already a really good platform – was transformed by German tuner Brabus into something much more unique and much more powerful. The beauty of these creations is that while almost every piece of this car was tweaked and the dial turned up, you’d be hard pressed to find any faults in them. The unity of the package retained the understated but aggressive nature of the stock example. The craftsmanship and quality are just as good if not better than what comes out of the Mercedes factory and the livability is retained just as you were driving a totally stock car. But all the little details are what makes this car so special. Scratch that – the big details are pretty special, too! This one up for sale in Dallas is no different. I have always felt like the W208 Mercedes-Benz CLK55 AMG was missing something. In fact, I know what it was missing: a few things. 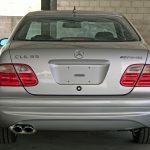 The W208 CLK-Class was based on the W202 C-Class but styled after the W210 E-Class. But if you didn’t know this you looked at a CLK and thought it was just basically an E-Class coupe. So when Mercedes decided to make a CLK55 AMG it was pretty much going to be an E55 AMG coupe, right? Not so fast. Silver/Charcoal – ID# WDBLJ74GX1F179106 – 58k miles – California car. Just serviced – New front rotors/pads – New tires – Restored alloys. 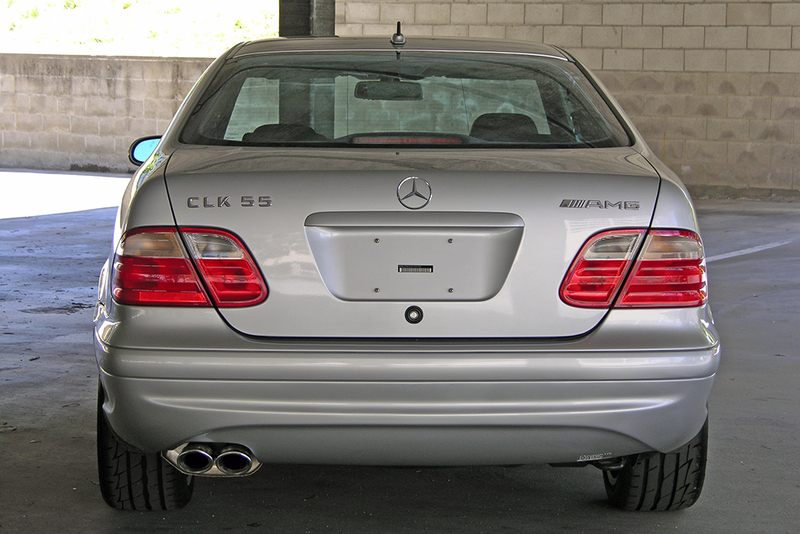 In my opinion, the CLK55 AMG is about 8/10ths of a E55 AMG. I may be a little biased since I own a W210 E55, but the equipment and stats don’t lie. 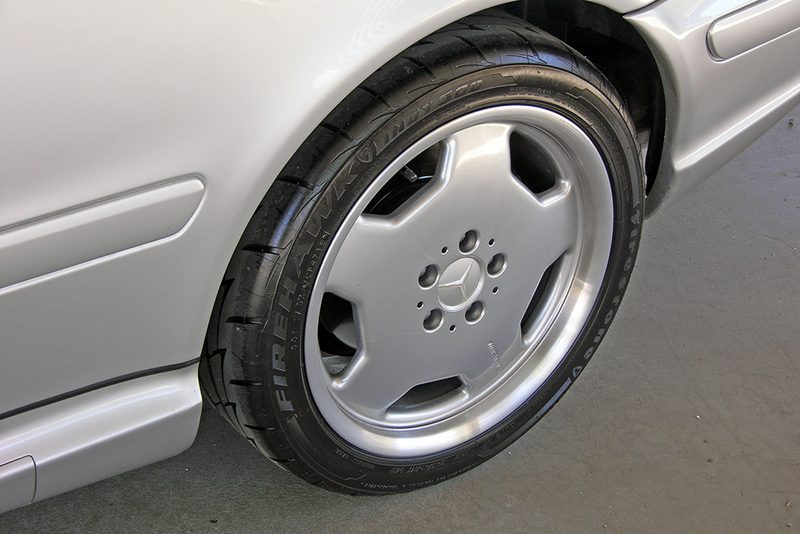 First on the outside, the E55 got 18 inch Monoblocks while the CLK55 had to settle for 17 inch. Also a section of the taillights are smoked on the E55 but clear on CLK55. 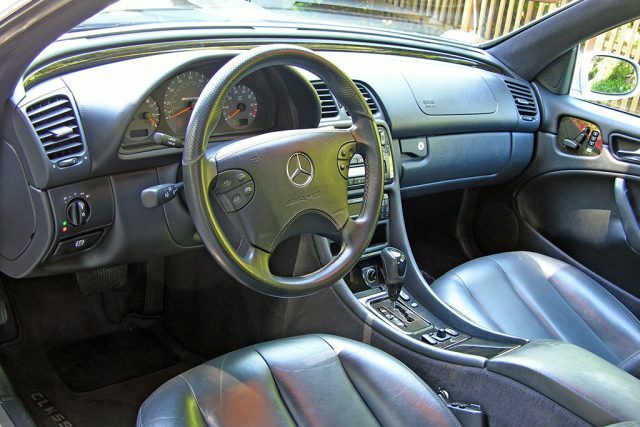 Inside, the big difference is that the E55 had different seats that were only found on the E55 and no other W210 or W208. Under the hood is where things get interesting. 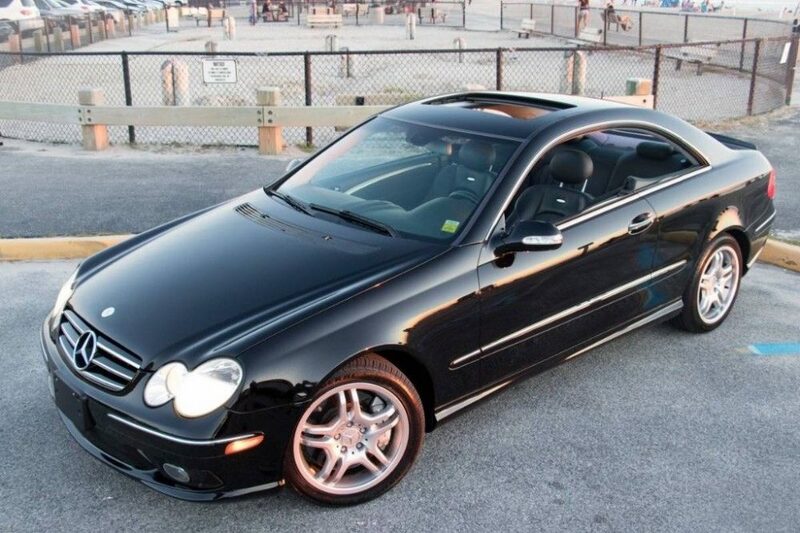 The E55 was rated at 349hp and 391tq with the CLK55 making 342hp and 376tq. 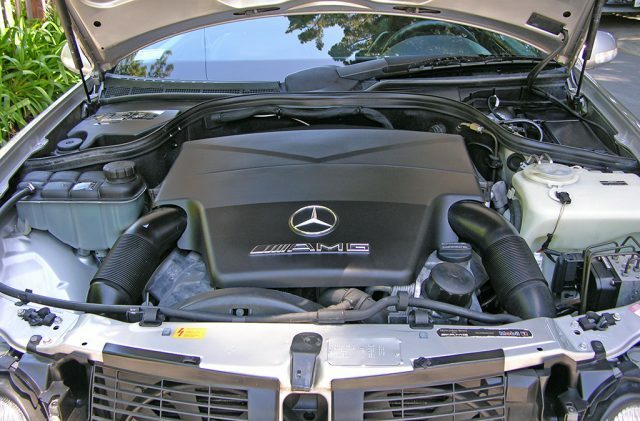 Despite having the same exact M113 engine from AMG, the CLK made less power because of a different exhaust setup and I think Mercedes wanted to sandbag the numbers a little. 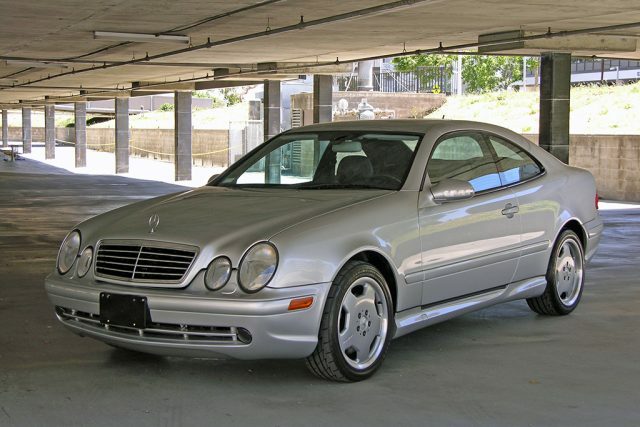 At just over $68,000 new for the CLK, that was about $3,500 less than the E55. 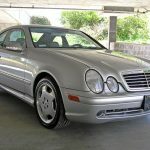 If the CLK made just as much power as the E55 and weighed 300 pounds less, I don’t know what that would have looked like in the eyes of potential buyers. But honestly, why did Mercedes even care? 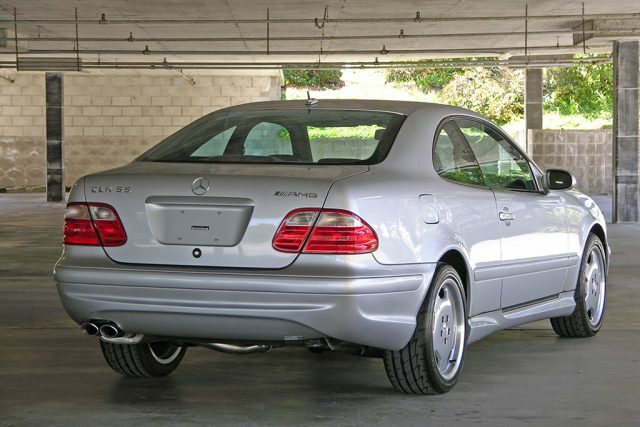 The E55 was such a low production vehicle that it wasn’t like they were not going to sell all of the E55s quickly. 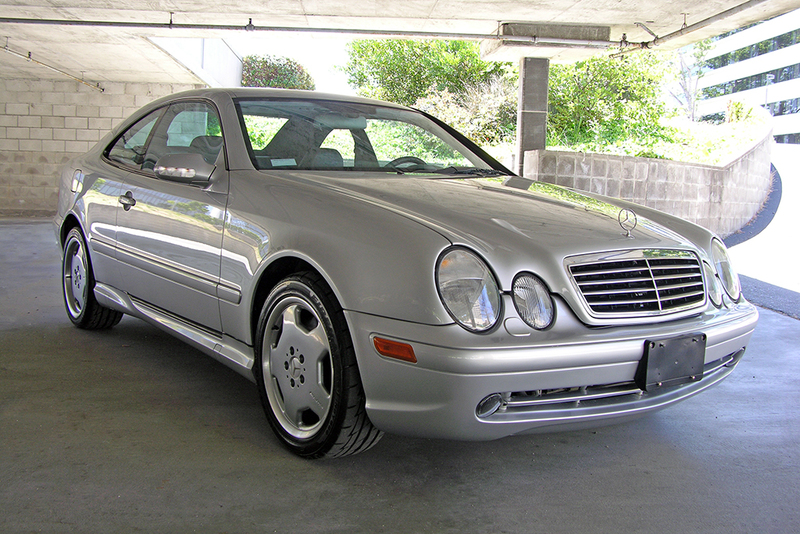 As for this specific CLK55, it is probably one of the nicest ones I’ve seen in a while come up for sale. Outside of some wear spots on the driver’s seat, this car is nearly flawless. At $16,500, this one is probably going to sit for a little until the perfect buyer comes along who really loves these, but I can this car selling for close to asking. For my money, I’d pick up for almost half the price and enjoy it. I don’t know if these will ever become truly collectible, but if you can find a nice one for cheap, it’s not a terrible way to spend your money. Welcome back to ‘Fail Friday’! Today’s vehicle, well, you can probably tell how we got here. Wraps have become all the rage over the last few years and of course with the good, comes the bad. This is the very bad. 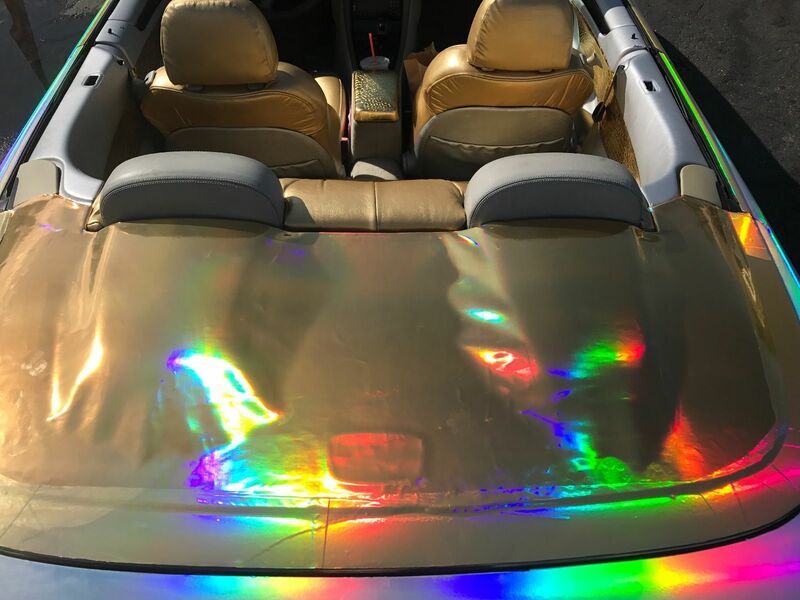 It’s one thing to pick out a wrapÂ that has the power to blind an entire row of traffic, but it’s another thing to apply it so poorly that you gave up and grabbed the spray paint. 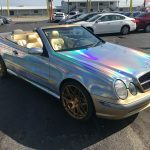 This CLK430 Cabriolet for sale in Florida (what a surprise!) was never anything special to begin with but that doesn’t mean you have to literally try your hardest to ruin it. Almost everythingÂ on the exterior of this car has been touched to make worse in one way or another. And don’t worry, the inside is as equally as bad! 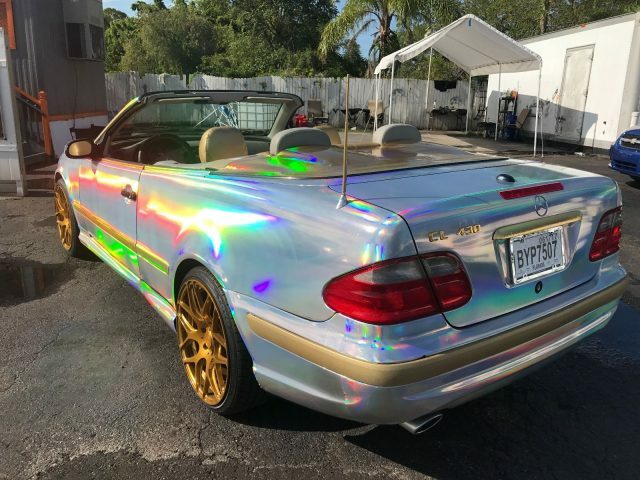 Just wrapped Chrome Holographic by VVivid Vinyl, brand new 19″ wheels and tires, brand new custom GOLD Leather interior, Beautiful CLK430 convertible. Top is dark Blue and works great, 60k miles – just spent $7,000 on items listed to customize this car – you won’t find one like this!!!!! I’ve been looking at this car the past two days and I’m still trying to figure out what happened. There are a ton of things wrong, but I’m just going to hit the high lights low lights. It looks like whoever wrapped this car had a really tough time with it. On the rear bumper you can actually see the line where they cutÂ away a piece then started a new one on top of it. The rest of the edges look like they were simply torn away they look so rough. Then the front bumper and trim pieces are all spray painted gold. Either the person wrapping this car knew they couldn’t do a decent job on the front bumper or they ran out money and/or materials. 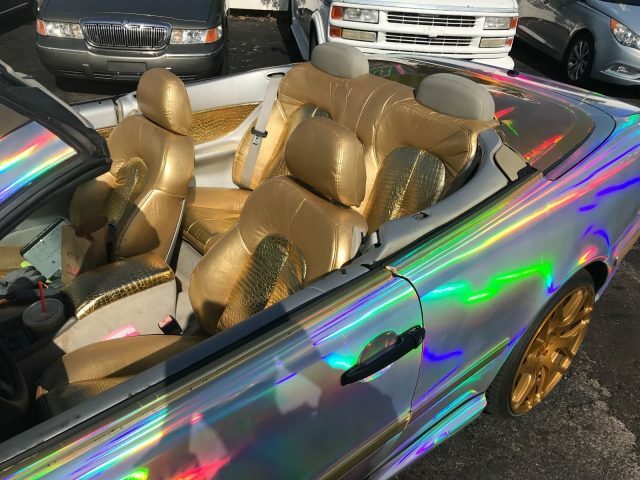 Of course, the paint is all flaking away and the color isn’t even close to the gold that the wheels are painted. Inside, this doesn’t get any better. 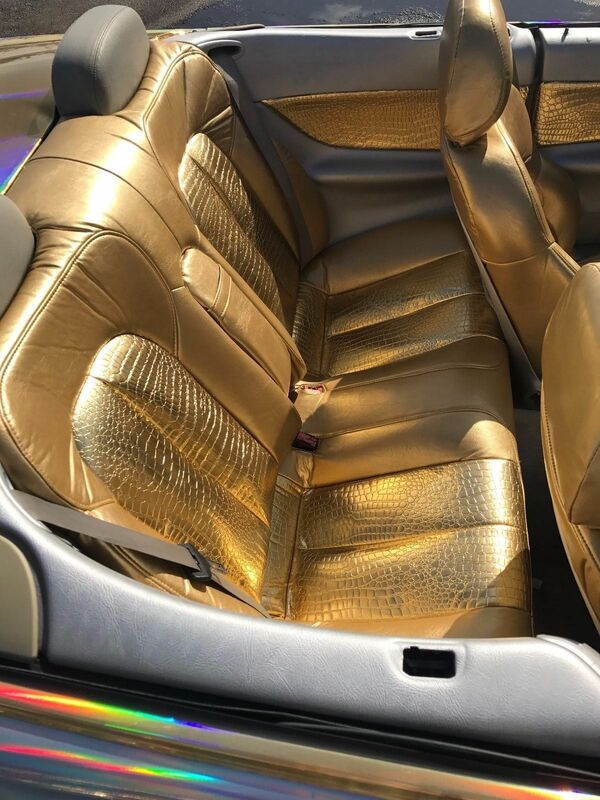 The material used to cover the seats looks like the same stuff they make cheap Halloween costumes out of. They are also very gold and you guessed it, a different shade from the spray paint and the wheels. I also noticed that somehow they wired up a Comand unit from a W163 ML-Class which I’ve never seen done before in place of what should be the factory Comand 2.0 system. I’m sure seller saying it doesn’t work has nothing to do with that. To no ones surprise, the Dunkin Donuts bag and drink couldn’t be bothered to be removed before taking all the wonderfully horrific photos of this poor CLK. 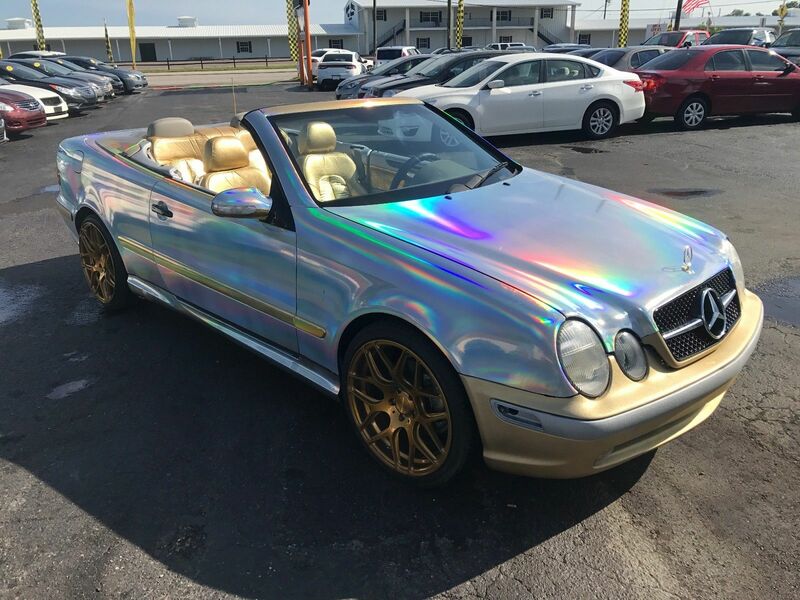 At first I thought it was totally out of line to ask $9,850 for this thing. 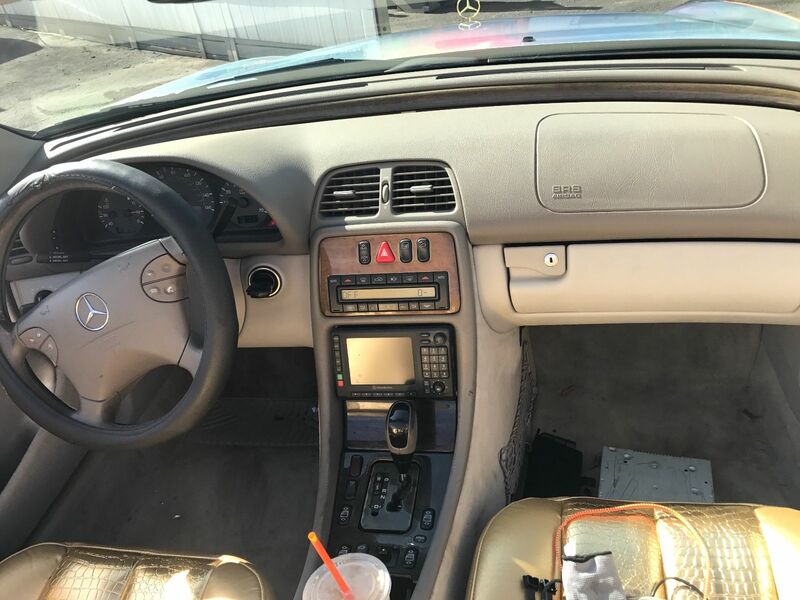 Then I realized that if a person is crazy enough to think that all this junk actually looks good and adds value, then they are crazy enough to think to ask almost $10,000 for it. So if you are willing to go off the deep end, you might as well go head first. I’ll stand back and watch. 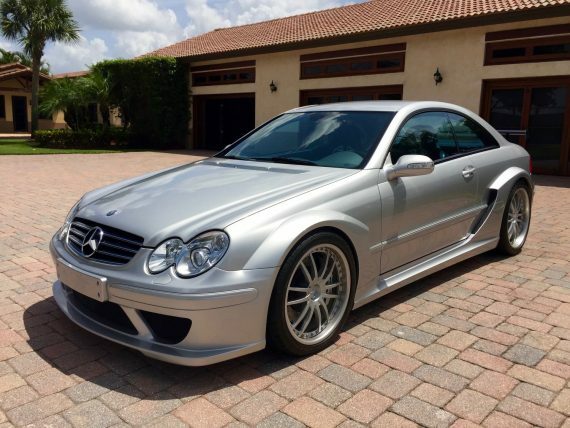 Back in September I featured the ultra rare and ultra expensive CLK-DTM that was for sale in Florida. 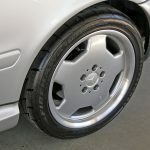 To my surprise, another CLK-DTM popped up on eBay and of course it is my duty to report this information to everyone. Seeing as there is a handful of these cars in the United States I figured this had to be the same car. The problem was is that the original ad literally had one sentence of information. The only thing I could go on was the mileage and location. So as I compared the numbers,Â 2,936 miles on the car back in September while today’sÂ car has 2,948 miles and both are in Florida. Bingo. I mentioned this to the eBay seller and to his surprise had no idea this car was listed on Hemmings back in September. 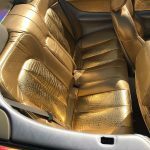 His digging found that a broker was using his cars to make their own listings in order to sell this car. He also found out that the Hemmings seller also used a SLS AMG Black Series and Carrera GT of his without his knowledge either. Needless to say he wasn’t pleased and will be making some phone calls to said broker. 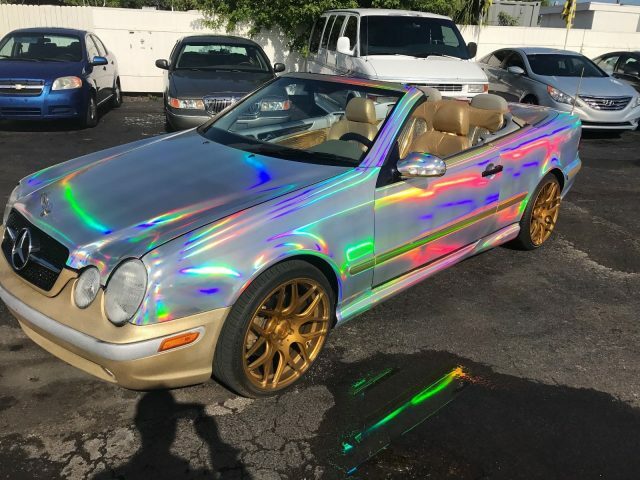 Now back to this car, it’s still for sale in Miami with an asking price of $425,000. I predicted that this was would be listed at over $400,000 and hit it pretty square. 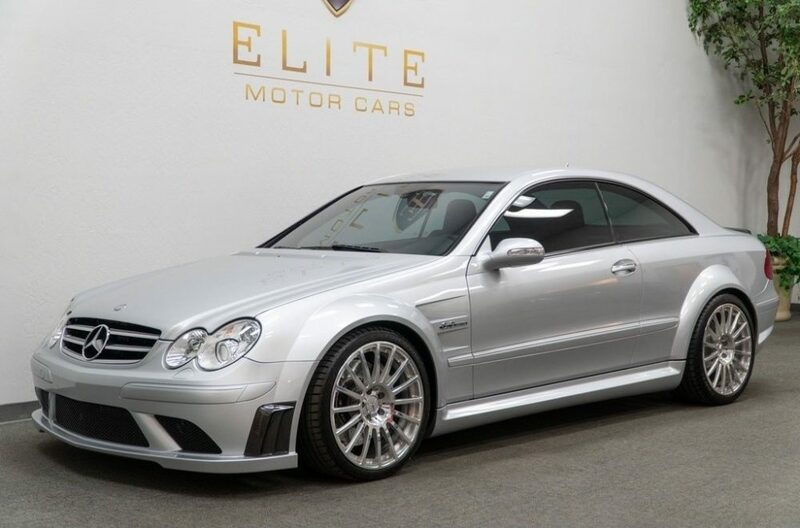 I don’t know if collectors are licking their lips for a 11 year-old CLK at almost a half a million dollars but then again I don’t run in the same circles of people that spend four bedroom home prices on cars either. Do I think prices will ever fall on these cars? Probably not. Is this a blue chip stock that you can sell for a million dollars in 10 years? Probably not as well. If you are looking for an ”investment car” there are plenty of Ferraris and Porsches out there will perform better, but if you are a Mercedes nut like I am, this one would be at the top of my list if I had the money to blow on it. Move over Black Series, your body work is out classed here. AÂ little overÂ 11 years ago Mercedes took their normally tame CLK and went insane. Modeled after theÂ 2003 CLK which won the DTM championship that year, the road-going CLK-DTM was much more than the typical AMG offerings that simply added on to the standard carÂ that came from Mercedes. 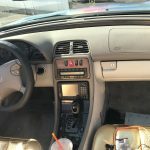 This car was totally rethought and the majority of it was re-engineered.Â That’s what makes this car so different from a CLK55 both inside and out. Even more special is that they only producedÂ 100 coupes and 80 convertibles, with none of them being sold in the U.S.. But today we have this 1 of 100 car for sale in West Palm Beach, Florida. So let’s take a closer look at this DTM monster for the streets.